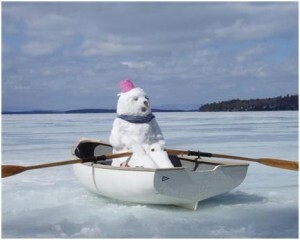 The best way to keep your boat safe in winter is to find a trustworthy place to store it, until the harsh Minnesota weather subsides and you can safely take your boat back on our many waters. Boat winterization is the key to avoiding costly expenses come spring but the process involves more than just a good shrinkwrap and an allotted spot for it to ride out the chilly months. Anchor Marine, located in the Minneapolis MN area offers dependable boat winterization services. Boat Winterization is beneficial to the outward appearance of your boat and the function. It is critical to properly store it, neglecting to do so will cause issues that could have easily been avoided. If you are experienced in the engine winterization process, by all means complete it yourself but if you are not, its best left to the professionals. Anchor Marine offers winter boat storage and engine winterization. We also offer convenient pick-up services, for the surrounding Minneapolis and St. Paul, MN areas and parts of western Wisconsin. So, potentially all you need to do is place a call into our expert boat technicians and we’ll do the rest; pick up your boat, complete the entire engine and storage needs and all you will have to do is call and pick it up in the spring, when you’re ready to get back out on the water. Remove everything from the inside of your boat, including the fire extinguisher and batteries. If major things are left behind we will be sure to alert you and take them out. Whether you’re looking for the ultimate in convenience when it comes to winterizing your boat or you’re looking for an affordable boat winter storage – Anchor Marine offers it all! Contact Anchor Marine at (763) 972-3540 to inquire more, set up a service today! 2002 220 Sear Ray Sundeck(2ft swim platform) 260 Merc 5.0.